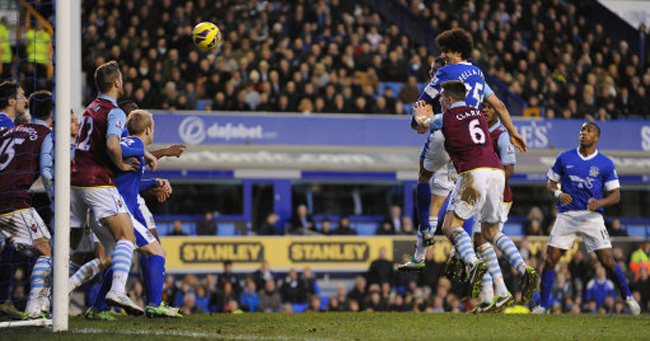 The outstanding Marouane Fellaini rescued a vital point for the Toffees at Goodison on Saturday, after netting a brace to secure a 3-3 draw with Aston Villa. 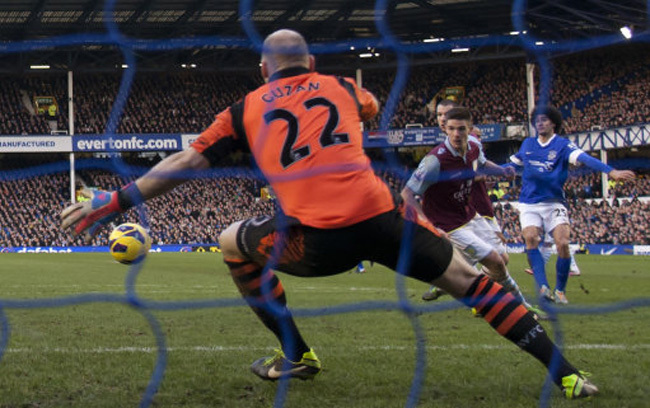 The visitors had opened the scoring after just two minutes, courtesy of Christian Benteke who powered past Johnny Heitinga before firing beyond Tim Howard. 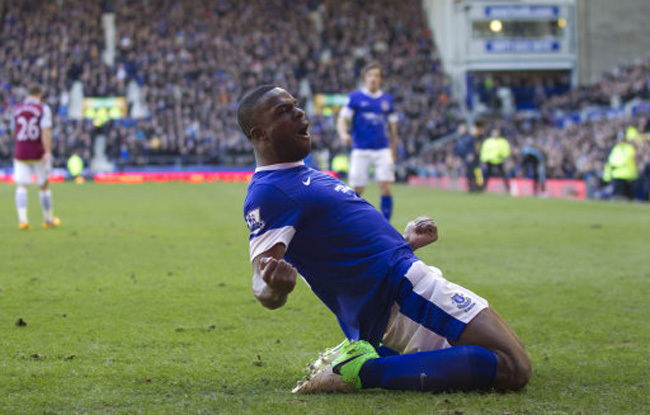 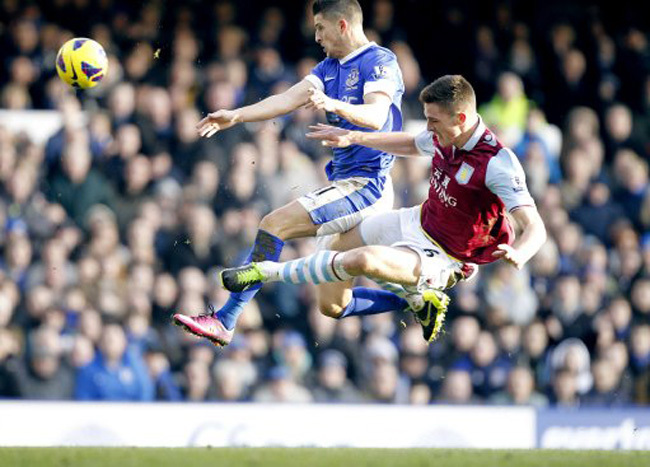 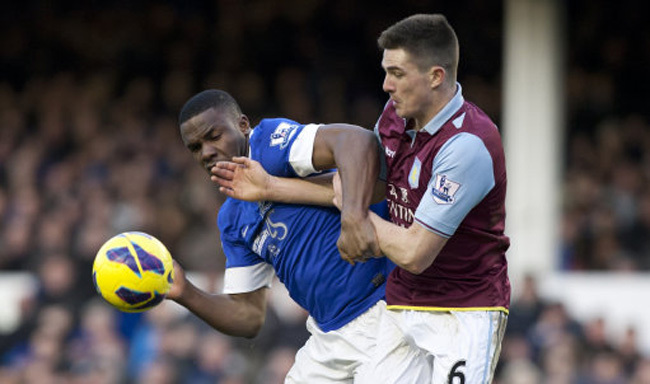 The Belgian has been one of Villa’s few shining lights this season, but his goal was eventually cancelled out by Victor Anichebe midway through the first period. 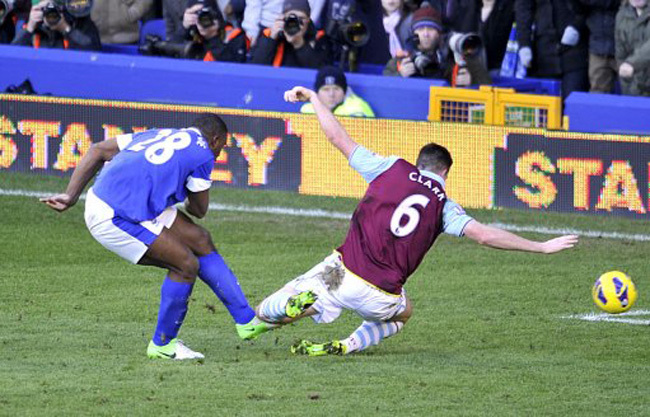 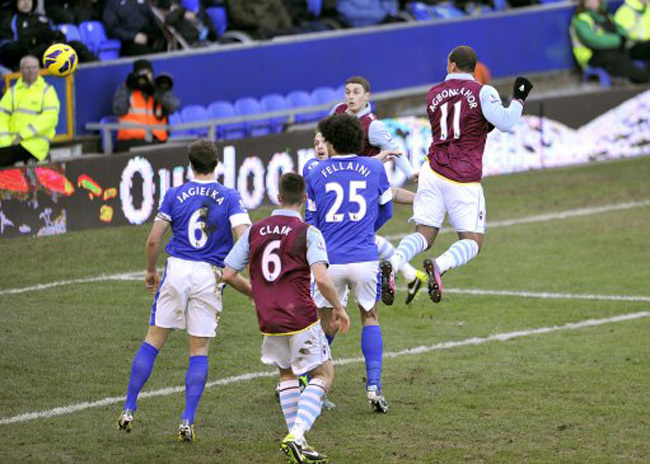 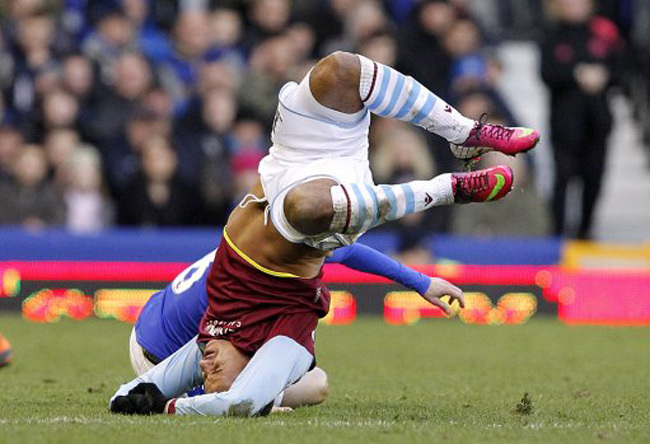 However, soon after the Villas were back in front, this time after a header from Gabriel Agbonlahor. 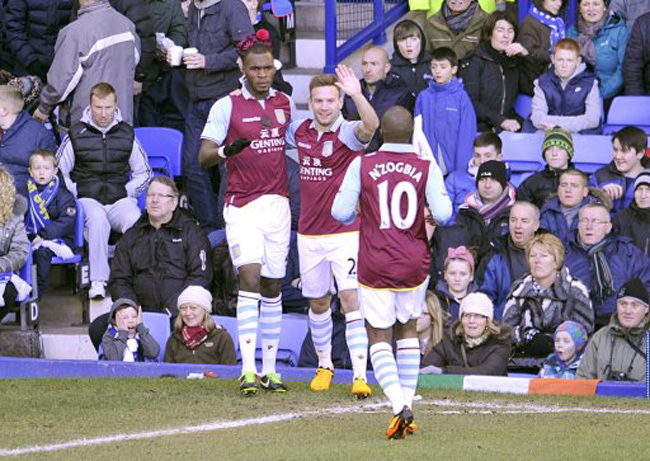 After the break, the Villans continued to impress and, on the hour mark, went 3-1 ahead with Benteke netting his second of the game. 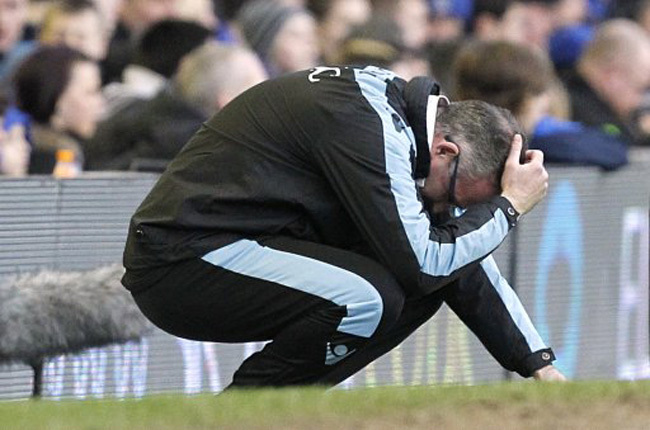 A precious victory was now within touching distance for Paul Lambert and his struggling side but a barce from Fellaini, one coming on 69 minutes and the all-important equaliser at the death, robbed Villa of two points and kept David Moyes’ men in fifth place, a point above Arsenal. 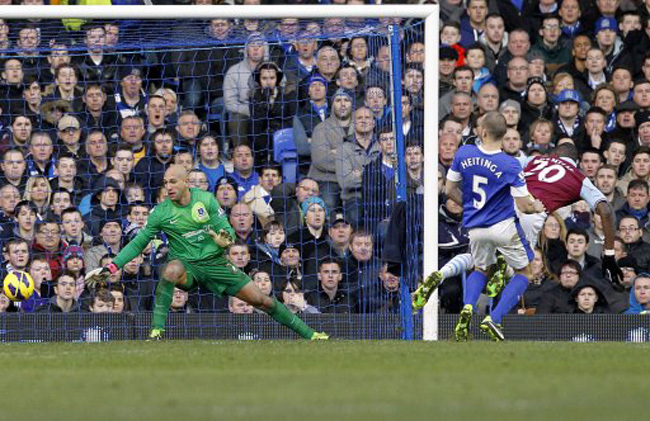 Villa stay second from bottom, four points ahead of QPR. 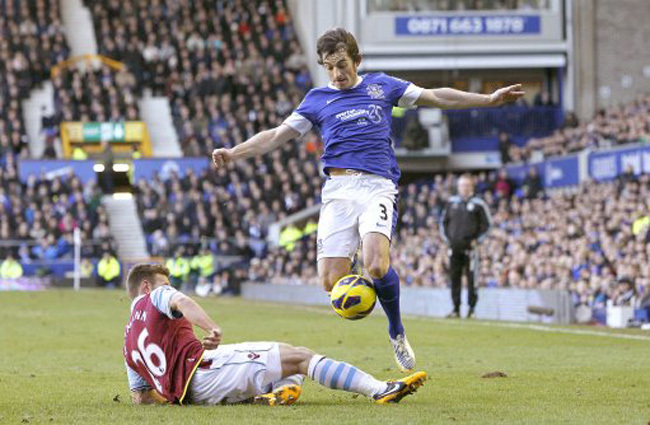 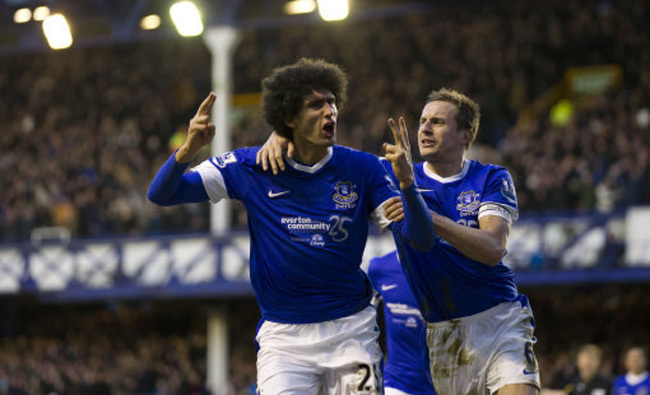 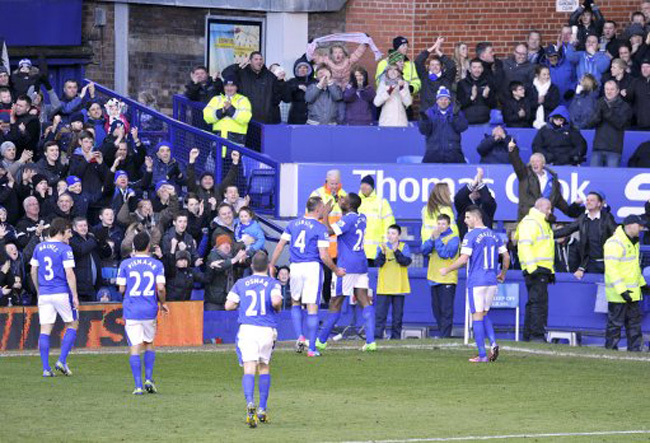 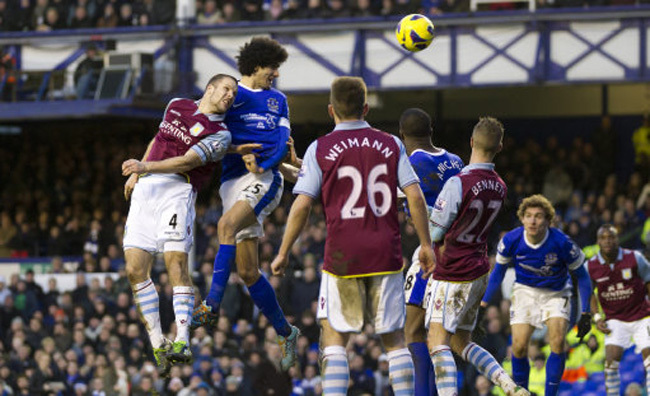 As for the Toffees, surely Fellaini will be off in the summer in a big money move?